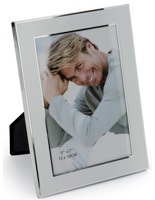 Media Size: 4" x 6" / 6" x 8"
3.5" x 5" / 5" x 7"
4" x 6" / 6" x 8"
5" x 7" / 8" x 10" 8" x 10" / 11" x 14" 8.5" x 11"
This photo frame features an aluminum construction and is finished in an attractive satin silver. 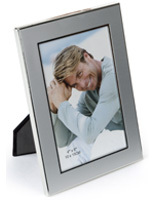 It holds standard 4" x 6" pictures with the included mat board. 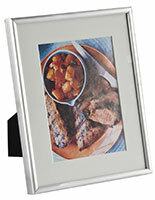 If you remove the matboard the frame can support 6" x 8" graphics. 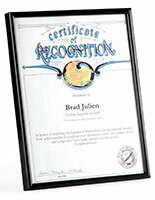 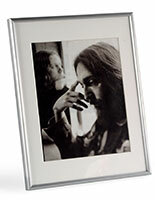 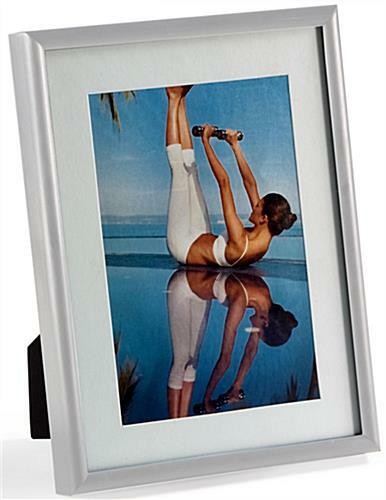 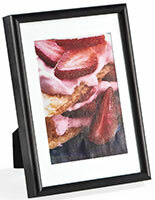 Your photographs insert from the rear and a table easel stand allows for vertical or horizontal placement. 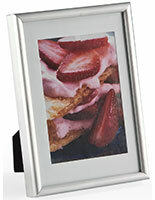 Or you can also hang the photo frame on a wall. 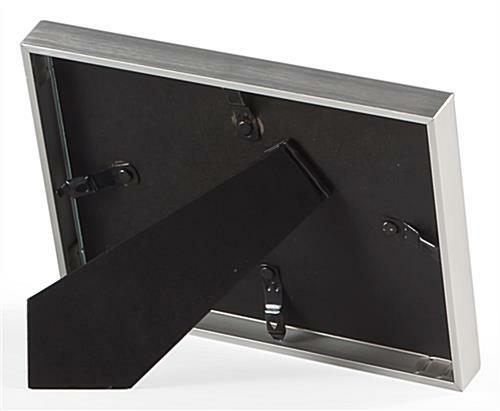 32.0" x 8.3" x 0.875"